Posted March 24, 2015 by Sue Peffer & filed under News. Cambridge, UK – March 24th, 2015 – Cresset, innovative provider of computational chemistry software and services, is pleased to announce that Mercachem, a leading European contract research organization, has chosen Cresset’s Torch and Spark software to support their growing medicinal chemistry service business. 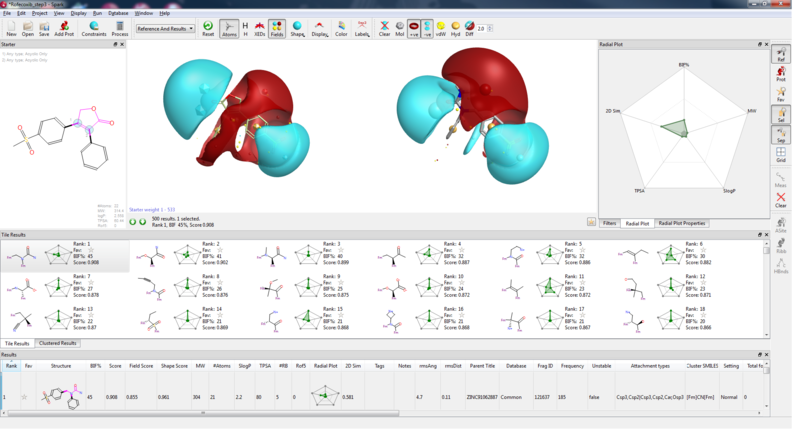 Torch is a molecular design and SAR analysis application. Spark is a powerful bioisosteric replacement tool which is excellent for generating new chemical ideas for your project. Spark showing the result of a bioisosteric replacement experiment.